November 1, 2015 | News wire agency Business Wire released its press release analytics report today. Metrics show over 200 news agencies and media outlets, with a combined average monthly readership of over 45 million visits covered the release titled, “Frontline Aerospace Raises $2 Million for New Gas Turbine Technologies,“ to date. 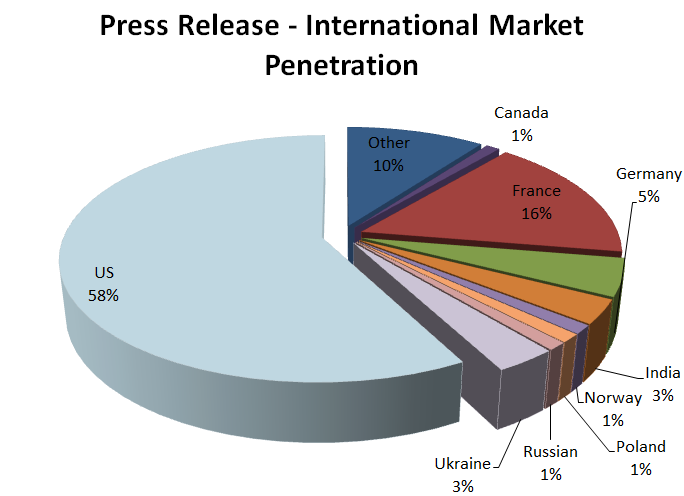 International interest represented over 42% of visitors with highest views coming from France, Germany, United Kingdom, India, Poland and Canada (highest to lowest, respectively).